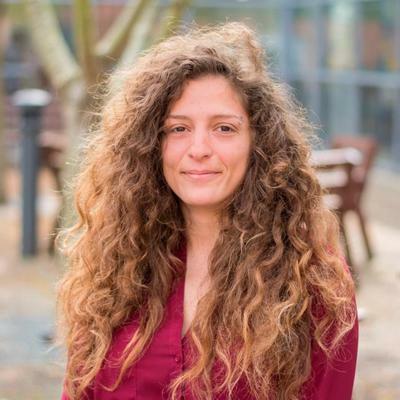 Dr Crystal El Safadi is a Research Fellow in Archaeology at the University of Southampton. With an interest in GIS and other technologies, I am a fierce advocate for modern practices that unite digital and archaeological research. Under the guidance of Dr Fraser Sturt, I currently undertake research that involves theory and fieldwork on the topic of maritime prehistory. The role involves computational modelling, scientific diving and instructing Masters and Undergrad students. Prior to this, I have worked as an Archaeologist, GIS Specialist, Research Technician and a Geophysical Specialists. These employments have not only afforded me the experience of working within a number of countries, namely Lebanon, Cyprus, Spain, Bulgaria, France, Oman and the U.K. but also, to work across disciplines and specialisations i.e. terrestrial, maritime and desktop-based research. Most recently, as a Research Technician (2016-2017), I have been working alongside Dr Jesse Ransley on a project entitled Writing Honor: The Levant and the History of Archaeological Ideas about Seascapes. Qualifications include an MSc in Archaeological Computing-Spatial Technologies (2012-2013), an MA in Maritime Archaeology (2013-2014) and a PhD in Archaeology (2014-2018). My doctoral thesis focused on maritime activities during the Early Bronze Age within the Levant. It identified the complexity of analysing the past through the lens of a modern geographical understanding and offered an alternate mapping concept, to which we may engage playfully with the past. Ultimately, this concept of ‘playful engagement’ is that which drives the research I undertake. I am drawn to powerful concepts that can contribute to the shaping and reshaping of the world; I am interested in questions that may challenge conventional narratives and I am eager to support others to do the same.